Please, resist the urge to lick your screen. I hear computers are dirtier than public restrooms because people rarely clean their monitors. I would hate for you to catch an infection because my book cover looked so delectable. Mmmmm, cupcake. Chocolate cupcake. With pills! I first saw the cover concept for Chocolate & Vicodin at the end of March 2010, long before the final text of the book was completed, which is sort of odd and slightly scary since it’s like taking your wedding photos before you’ve met your groom. However, the cover is needed for placement in the sales catalog the publisher puts together each season to pitch their books to booksellers. Thus, it’s usually created before the book is complete to give booksellers enough lead time to place their orders. I immediately loved the cover because, really, what formerly morbidly obese woman doesn’t love cupcakes? It’s also a great excuse to serve chocolate frosted cupcakes at any book events. I feel very fortunate that I’ve loved the initial cover concepts for both of my books. Sometimes authors and marketing departments have differing visions of what the cover should look like, but I’ve been lucky to avoid that type of battle so far. I hope you guys love it as much as I do! Also, as you might have figured out from the link, the book is available for pre-order at Amazon.com in paperback and on the Kindle. It’s also listed for pre-order at other online retailers like Barnes and Noble, Borders, and Indiebound. If/when it becomes available for pre-order on any other e-readers or sites, I’ll let you know. Thanks again for all your support, guys! 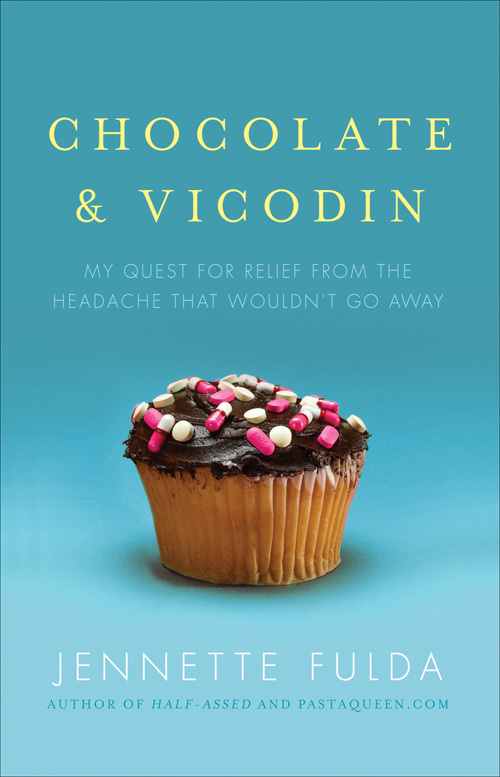 I noticed that CHOCOLATE & VICODIN was assigned an Amazon book rank a few weeks ago, which means some of you have already pre-ordered it. I really appreciate that and hope you’ll enjoy the book this February! I just got an iPad as a gift and would love to try the e-reader feature. Any clue about whether I can pre-order it in e-reader form? I guess I can try to figure that out myself. :) Anyway, love the cover and congratulations on your SECOND (!) book. Oh, and happy birthday. It is all uphill from here. 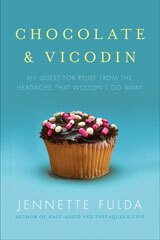 That’s not vicodin on that cupcake. It’s generic benadryl and what looks like melatonin. I only know because it is part of my evening cocktail regimen. I still love it! Vicodin is a huge horse pill. Not that I’m an addict or pharmacist. I can’t wait to read it! Judging by the cover, it should be great! @barbara raab – I just pre-ordered for my Kindle, so you can pre-order e-book versions :-) Amazon is pretty good about that stuff, if it’s intended for electronic release. I just preordered on my Kindle! @barbara raab – The iBookstore and Amazon Kindle bookstore are not the same format of ebook. You will only be able to preorder it if the publishers have made it available in iBooks… OR download the Kindle app for your iPad and preorder it there! Yay, happy birthday!!! I’ll be pre-ordering one for my KindleT Go Chocolate and Vicodin, go! Speaking as someone that is still done not with becoming a former obese person that cover is beyond tempting. I can’t wait to read the book inside. I love the cover…I would pick that book up in a bookshop based on the cover alone! Good luck with the book launch. I predict much success for you! Can’t wait to get it! OH, so clever and pretty. Just like the author!!! Thanks, everyone, for letting us know if you can preorder on the Kindle. And thank you so much for doing so! And congrats! SECOND BOOK! I can’t wait to read it. I love the cover! It really does look delectable, pills and all. And happy happy birthday. Happy, happy birthday, PQ! And congrats on a marvelous book cover! Please bring some to Fitbloggin’. Congratulations! I just pre-ordered from Amazon. Have a very Happy Birthday! I just pre-ordered. Happy Birthday! We share a birthday but I’m going to be 50…..double oh my! fabulous cover! both amusing and juice bud stimulating at the same time…and i don’t usually like funny foods. can’t preorder at the mo (no money) but will when the paycheck comes in. yay for you! 30 is not so old! – it can’t be as i too am turning 30 v v v soon. I just preordered it! I like the cover but I would have liked to see more chocolate frosting on the cupcake. Can’t wait to get it! Thanks! Pre-Happy Birthday! Hope you have a great 30th celebration. I just pre-ordered your book for my Kindle. You should be very proud of what you’ve accomplished. Continued success and happiness and maybe travel. I loved your travel blog. @Barbara Raab – My mom is special :) She gets her own commenting style, like me! I cannot believe I have been gone this long that you have a BOOK OUT!! And a DELICIOUS LOOKING BOOK!!!!! So excited to read it!!!! Hoping the headaches are gone! @PastaQueen – If I hire you to design my website, may I have a special commenting style, too? :-) (Just kidding, haha. Special styles are only for mothers and Trix are for kids.) Love the book cover and pre-ordered it at Amazon. Here’s hoping that your sales break all kinds of records! love love love love the cover and you’re right…i rarely clean my screen! Looks awesome, you must be so proud!! Whoo! Love the cover! Even if I didn’t know you/like your writing, that cover would make me pick it up off a display table at a store. Congrats! And happy birthday! I hope that you do something special to celebrate. Super exciting. I read Half of Me as soon as it came out, but lost it due to lending it out too much. Am so excited to read your next one. I’ve been following your blog religiously since your brother’s wedding a few years ago. Amazing stuff. I don’t like that on Amazon the blurb (below) describes you as still having the headache 4 months from now! Can’t we hope it’s gone by then??? Even if your headache were gone by the publication date, I’d still want to read the book! I just ordered it for my iPad – and I agree, that cover is awesome and makes me seriously want a chocolate cupcake. Happy Birthday! Love it! So happy it’s available in Kindle edition. What I want to know is, Will you get to be on the morning tv shows talking about your book? So, only your mom gets a special comment style? Heck, I’m special. People tell me so all the time. Oh wait. They actually say that I’m “special.” It’s different if it’s got quotation marks around it. And that birthday request – consider it done! Happy Birthday!! (And I heart my Kindle)! I’m sure it’s going to be a great book and I hope your birthday is as great as you are! Enjoy! I agree – good enough to eat! And congrats to you on the book! I cannot wait to read this. As another woman who has suffered from a chronic persistent daily headache for 4 years, it is “exciting” to be able to read something by someone who understands what it is like. Happy Birthday!!! I just pre-ordered your book and I can’t wait to read it! Any word on whether Barnes & Noble will carry it in NookBook form? I mean… I know Barnes & Noble is rumored to be going under, but I think the new Nook will give iPad a run for it’s money so the bookstore giant can stick around a few more years. The cover ROCKS!!!! So inviting, on ALL levels, brilliant!!! 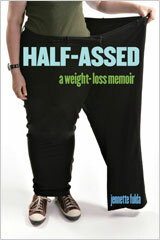 @Tina – I just got a message from my editor, and yes, the book will be available on Nook and all digital reader formats.